Next appointment was at Xanadu, a winery that been on a bit of a rollercoaster ride in recent years. Xanadu just missed being one of the earliest of the Margaret River pioneers, founded in 1977 by Irishman Dr John Lagan. Lagan had been living in the region since 1968, and liked what he saw so much he wanted a slice of the action. He named his new vineyard Xanadu, as in Coleridge’s famous poem. 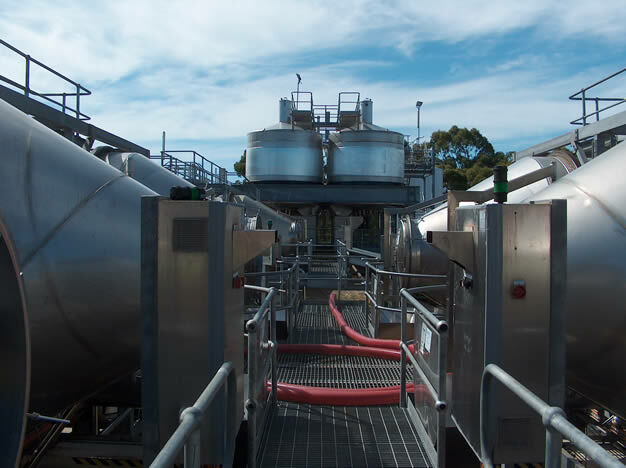 Lagan family ownership came to a close in 2001 when the winery was publically listed on the ASX in 2001. It then went on a massive growth spurt, from crushing 450 tons annually to a massive 2300 tons (2002) in the space of just three years. 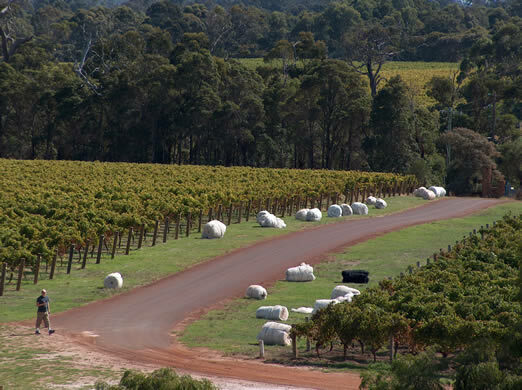 Then the company was purchased by the Rathbone family, who have a superb portfolio of mid-sized producers including Yering Station and Mount Langhi Ghiran. Operations were refocused, and the first year of family ownership saw a crush of 650 tons. When I arrived at Xanadu and was greeted by Glen Goodall (above), who has been the winemaker here since 1999, and has thus been through the period of rapid transition himself. 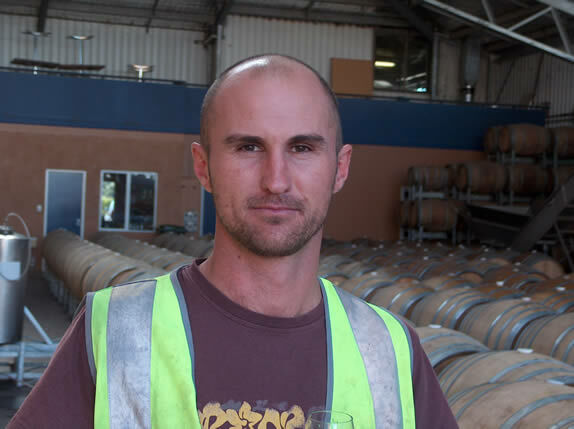 Roseworthy-educated Glenn hails originally from New Zealand, and has experience in South Africa, Hawkes Bay and California. We had a look round the winery, which has a lot of stainless steel, as you might expect, and lots of rotary fermenters, some of which have been customized a bit. 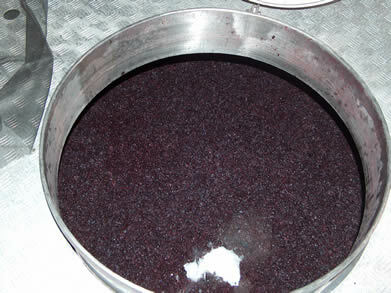 Glenn is keen on post-ferment macerations for some of the reds – pictured is one tank with dry ice added to keep the skins from going acetic. Then we tasted the wines. These are not expensive: the Dragon label (a new addition) retails at £6.99 in the UK; the premium wines at £9.99. They're good commercial wines that are well judged and offer some value for money, and the Cabernet and Shiraz are reasonably serious efforts. We then tried some barrel samples from 2006 and 2007. The stand-outs were some natural ferment Chardonnays (these are Mendoza clone), and a dark, spicy, chocolatey Malbec 2007 that was really complex.